This prestigious prize recognizes lessons learned from sustained investigation of new rural economies in Indonesia. Li, a University Professor in the Department of Anthropology at the Faculty of Arts & Science, as well as affiliate of the Asian Institute and former Director of the Centre for Southeast Asian Studies, is the first U of T researcher to receive the Insight Award. 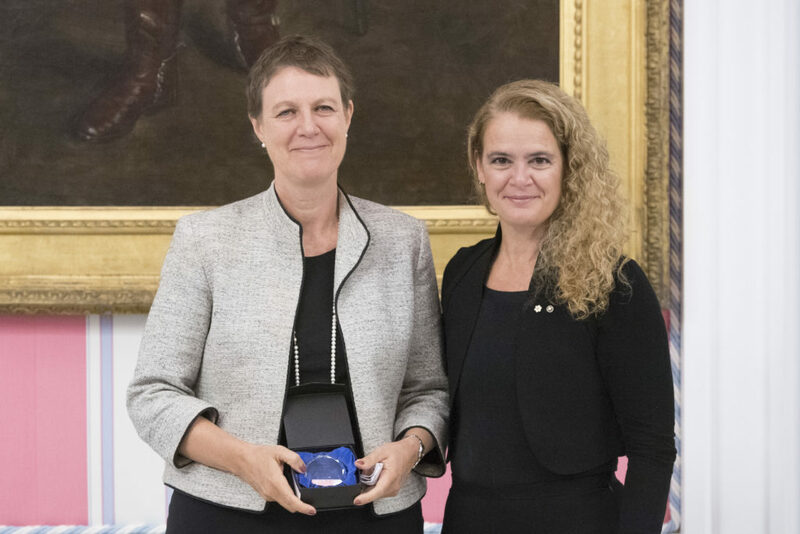 Pictured below, Li with Canada’s Governor General, Her Excellency the Right Honourable Julie Payette, at the award ceremony in Ottawa. Read the full write up in the Faculty of Arts and Science news story and in the SSHRC Announcement.